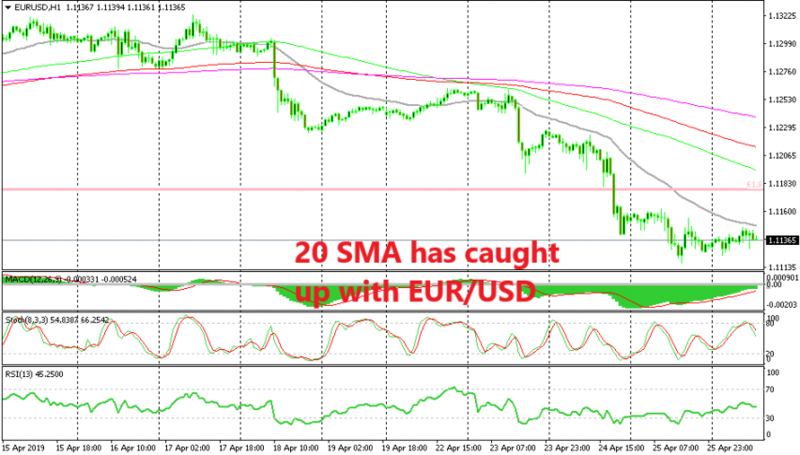 EUR/USD had been on a bullish trend for two weeks until last Wednesday when the FED turned neutral from being hawkish for a few years. The shift in the FED policy was a bit unexpected and it gave this pair a 100 pip boost higher, but then it started reversing and it lost around 170. Although, there were doubts whether this was a real reversal or just a pullback before the previous 2-week uptrend resumed again. 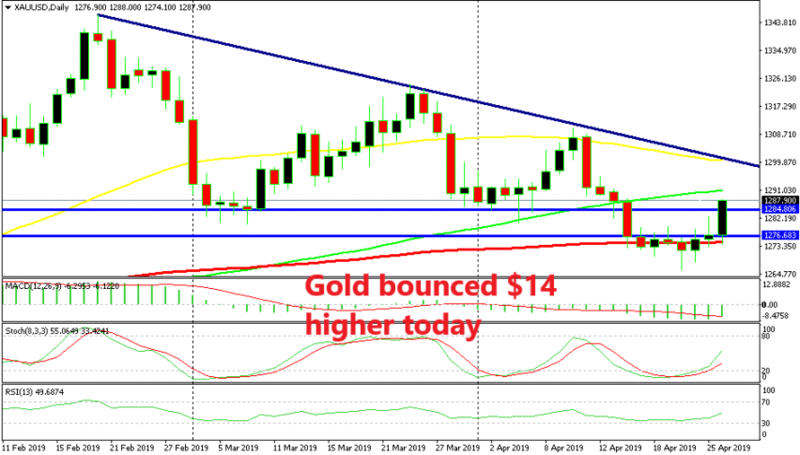 We saw a retrace higher yesterday as you can see on the H1 chart above, but the price couldn’t break above the moving averages that lie above at 1.1320-30. Eventually the price reversed back down and today the price action has been bearish. We’ve broken yesterday’s lows and EUR/USD is heading now toward’s last Friday’s lows. If the low from that day gets broken, then the trend reversal is official, besides the fact that the buyers weren’t able to push back above the moving averages and gave up on their mission since bears are in charge now. 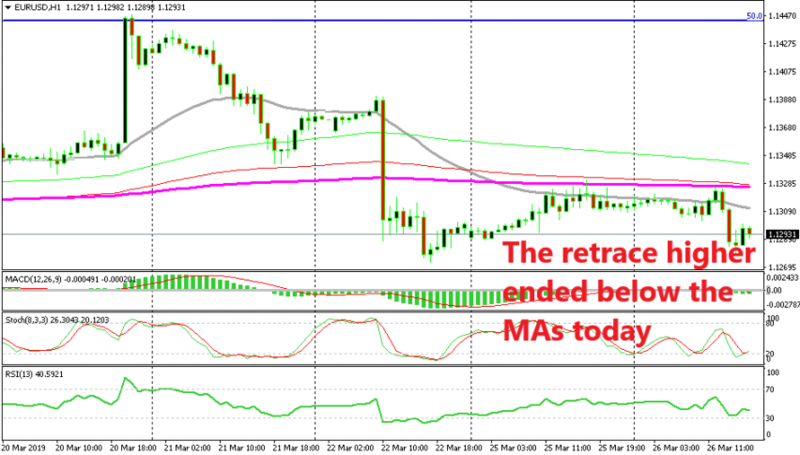 Another reason that I think that the trend has reversed from bullish to bearish is to be found on the H4 chart. On this chart the buyers look even weaker. They tried to reverse the price back up this week after the sharp reversal last week but failed to break above the 20 SMA (grey) and the 100 SMA (green). 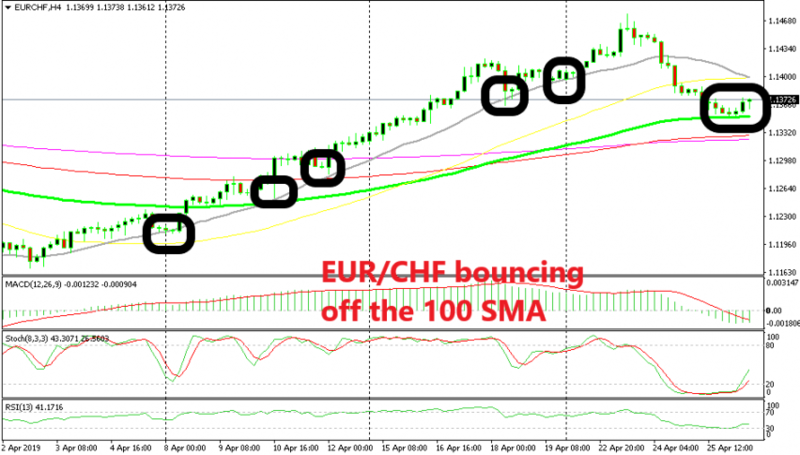 Even stochastic didn’t reach the overbought area and the reversal down has already started here as well. So, the uptrend of the previous two weeks is now over and now this pair is headed towards the 61.8% retracing Fibonacci level.